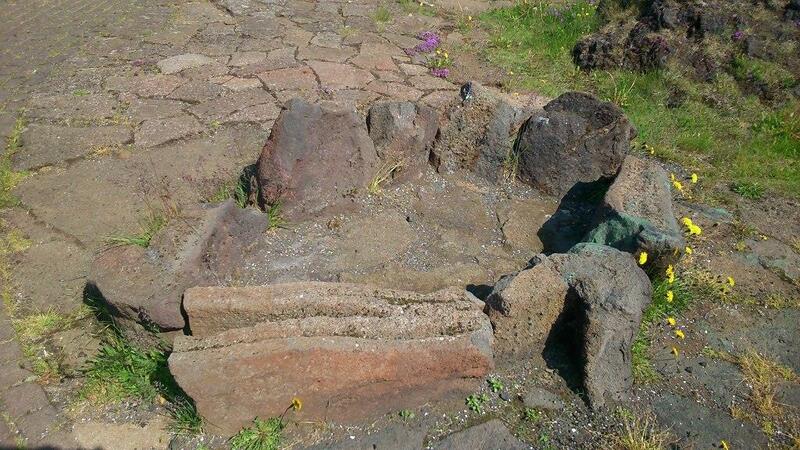 There was no prehistory in Iceland. Nothing BC. Yet when I recently visited for the first time, it became apparent to me that the landscape, both urban and rural, has a prehistoric quality to it. This is an island that is defined by extremes of stone, and this has thrown up (in some cases literally) strange and beautiful arrangements of rocks. But not all of these megaliths are natural – there are standing stones, dolmen, stone circles too, commonplace in laybys, parks, street corners and on roadsides and pavements. 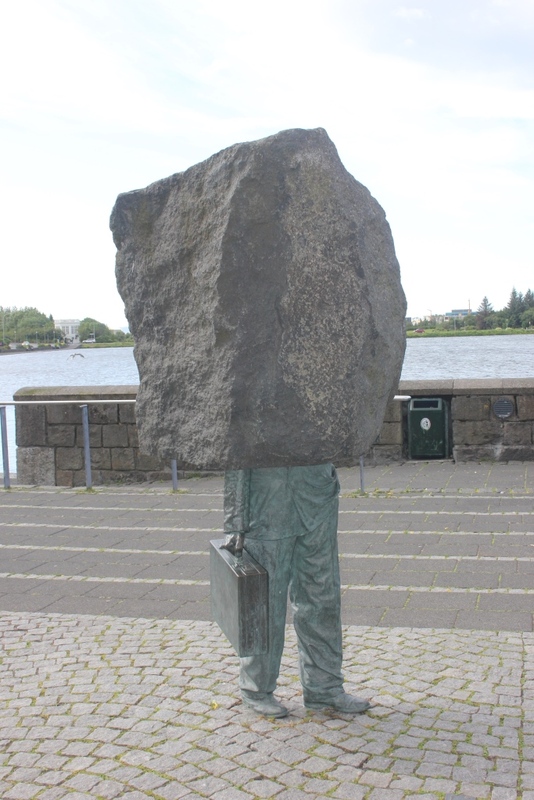 This is immediately apparent on the road leaving the airport, with huge stone blocks with stone heads – stone people – looming over the road sides of Keflavik. There is also something deeply prehistoric about the belief systems of the Icelanders, whether the over-played-for-the-tourists stuff about faeries and little people, or the Norse sagas and stories of gods, men and giants. The land has been ripped apart and reborn by prehistoric and geological forces, shaping the people just as much as the people shape the land with stories, place names and monuments. Little people live in the stones. Giants and gods fought with stones. People became stones, and are stones. The stones lived too once as well, oozing down the side of volcanoes, spewed across the land, swept up in flood waters, scraped and shaped by ice. Here, prehistory is a living condition, not a distant past, not even a real past, just an ever-present quality the land seems to have. The standing stones that I saw often reflected the grain of the land, dark grey basaltic blocks with square or pentagonal or hexagonal profiles. Cairns have been built on hilltops and roadsides of orange-hewed lava, or carefully constructed from small balanced flat stones. 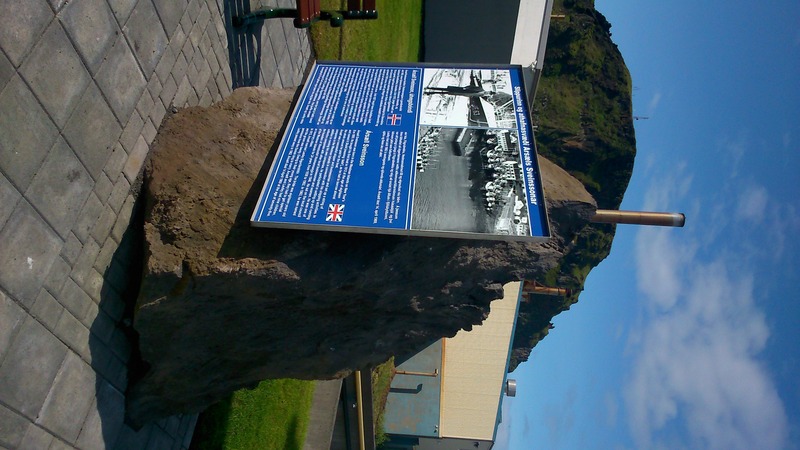 Rocks are still on the move, continually being re-arranged and juxtaposed, put to use – to memorialise, to pin information boards on to, as boundary markers, to decorate hotel forecourts and car parks. 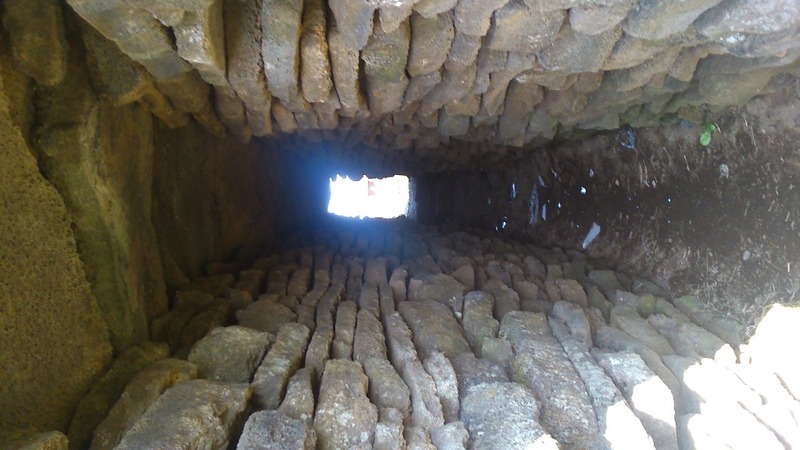 In some cases it is unclear if the stones are in situ and have been utilised where they were found (a kind of expedient architecture), or if they have deliberately been erected. 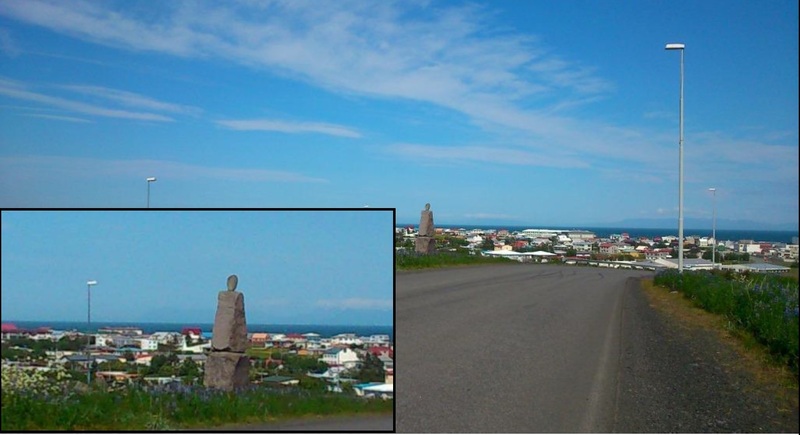 But in some cases formal monuments appear to have been constructed, such as the German Memorial on the edge of the town of Vik. 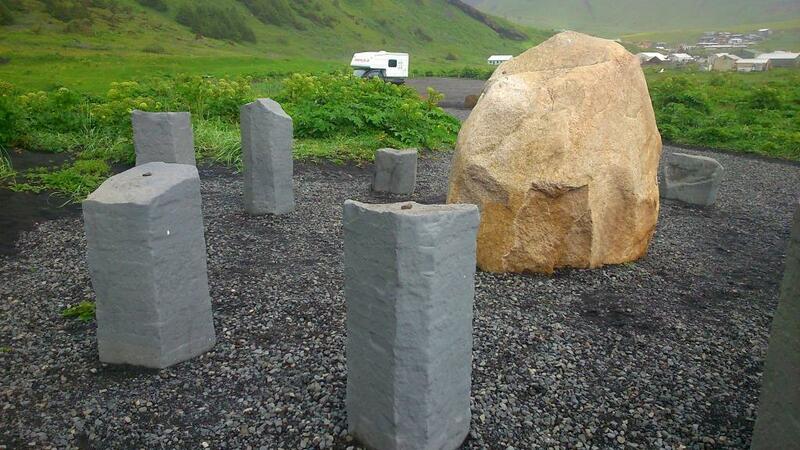 Here, a stone circle with central monolith has been constructed on the edge of a black sand beach, with the objective of remembering seamen who died on one or more German fishing boats off the coast of Iceland, and to thank locals for trying to help. The nine external stones, graded for height, are grey hexagonally cooled magma columns, similar to those illustrated above, while the central block is a vibrant orange sandstone boulder, with metal plates attached. 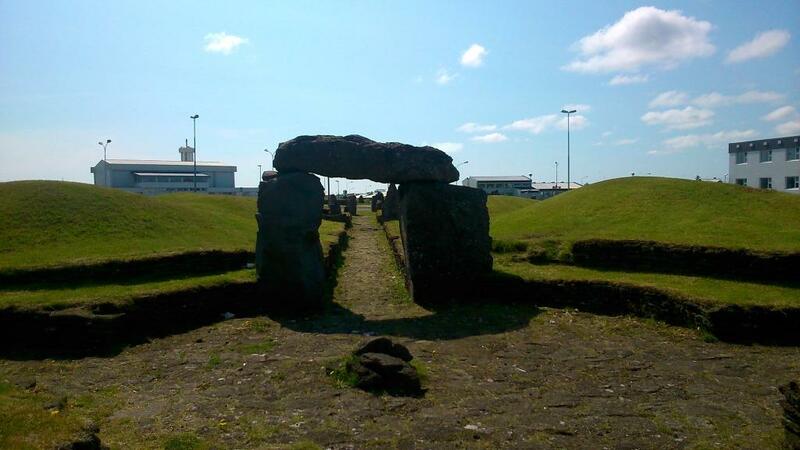 But perhaps the most dramatic and perplexing megalithic monument I spotted in Iceland was in the surprising surroundings of a small fishing town on the southern coast of the Reykjanes Peninsula, Grindavik. 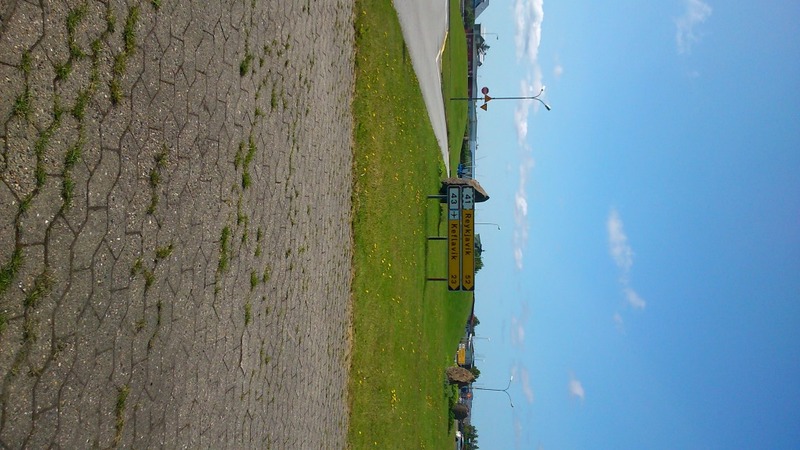 On driving through the centre of town, it was clear that there were a lot of mounds and standing stones by the roadside, concentrated mostly on roundabouts and at road junctions. On one side of the road was something altogether more coherent and remarkable – an extensive reconstruction of a passage grave, complete with a dolmen at the entrance. I spent some time wandering through this complex of stone walls, earthworks, standing stones and passages marvelling that such a structure should be built here, in a country with no prehistory (in a technical sense), and certainly no tradition of megalithic passage graves. 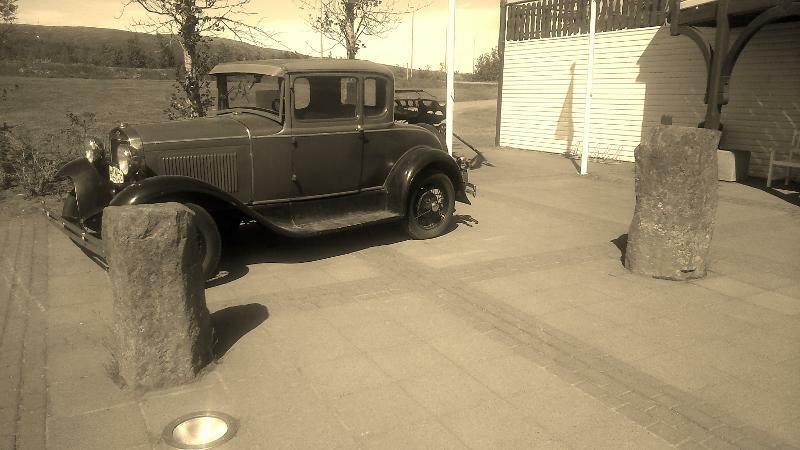 No signs or information were evident anywhere to explain what was going on here – this was a most unexpected megalith. 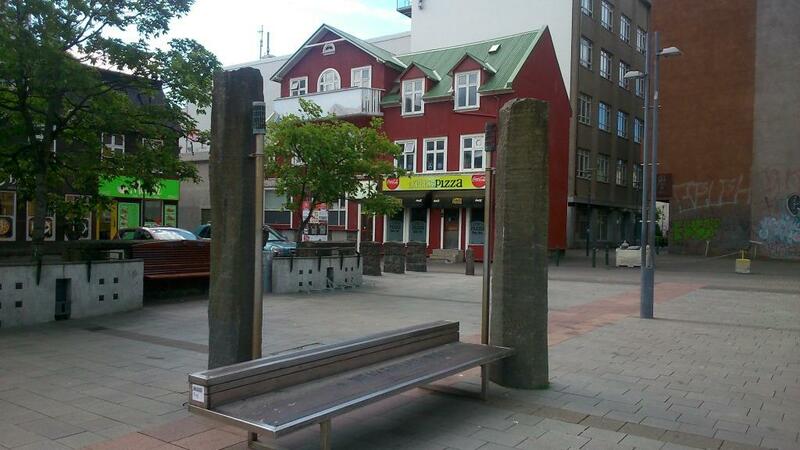 In Grindavík, on Reykjanes in Iceland, a modern interpretation of a pagan temple has been erected. While it’s not clear that the designers and builders of this modern temple had any special insight into how pagan temples were built during the Norse era, it is fun to see all the motifs from the various temple descriptions brought together into one structure. It seems clear that the passage grave has been built in a Nordic tradition, with walling for instance reminiscent of Danish passage graves, although some aspects of the monument reminded me of Neolithic tombs in Brittany as well. The reconstruction seems to conflate various different megalithic monument elements (and not just Neolithic tombs): there are forecourts, recesses, orthostats, a stone cist, standing stones, mounds, cairns, a trilithon and facades – and a very narrow long and low passage I could not get through. It was a right jumble of all sorts of things in other words. 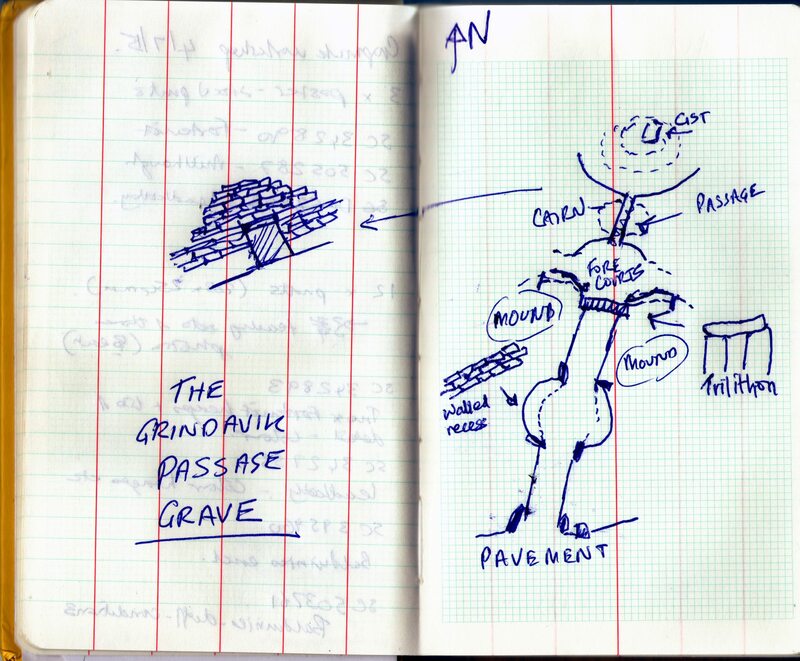 The monument lay open and exposed, bisected by pathways and pavements, with a road running along one side. Weeds grew from the paved surfaces, and graffiti was evident on the dolmen or trilithon setting. This was an altogether unremarkable place, typically quiet for Iceland, and this faux tomb almost – almost – did not seem out of place and time. And so my visit has changed my mind-set. Iceland does have a prehistory. Iceland is prehistoric – in the nicest possible sense of that word. 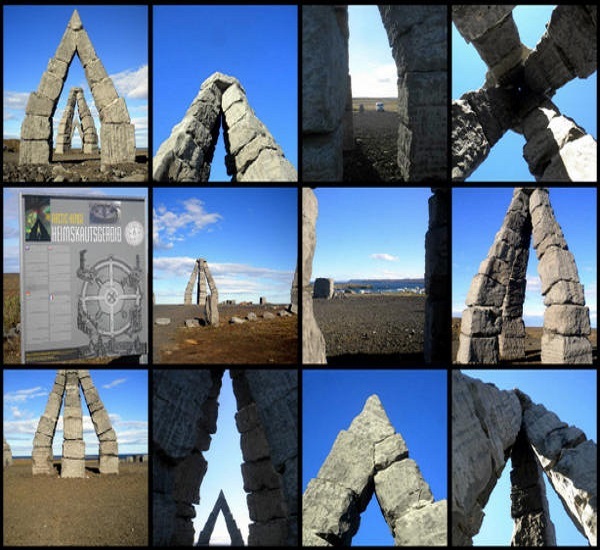 Similar to its ancient predecessor, Stonehenge, the Arctic Henge is like a huge sundial, aiming to capture the sunrays, cast shadows in precise locations and capture the light between aligned gateways. The ambitious series of circles and stacked basalt columns were placed according to a complex system based on old Norse mythology. 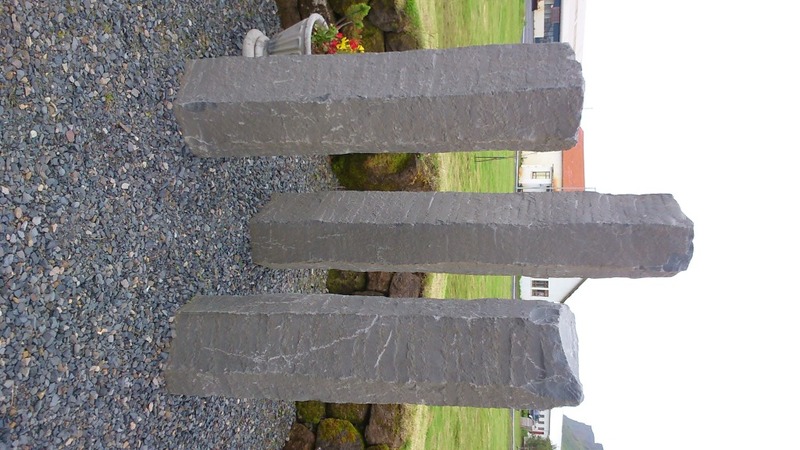 Utilising the ideas of a pastor named Kolbeinn Þorleifsson (who believed dwarves corresponded to seasons in the Edda) there are 72 stones, each one representing a different dwarf name. There are also four gates corresponding to the four seasons, and a range of other symbols to explore. Along with the outer circle, the final henge will be a massive 52 metres in diameter. It is interesting that the iconic Stonehenge is evoked here, just as it is in the trilithon that crowns the Grindavik passage grave. 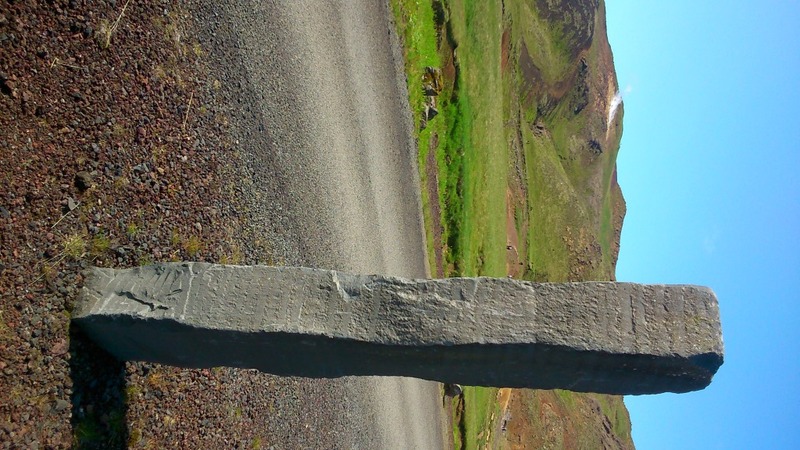 In both cases Icelanders appear to be looking to other parts of Europe for prehistoric inspiration. Yet all they need to do is to look around them, to their own landscape and their own post-pre-history. I did not expect to think about prehistory when I was in Iceland and yet it seemed I was confronted by it constantly, in the art, the land, the people, the stories, and the stones. 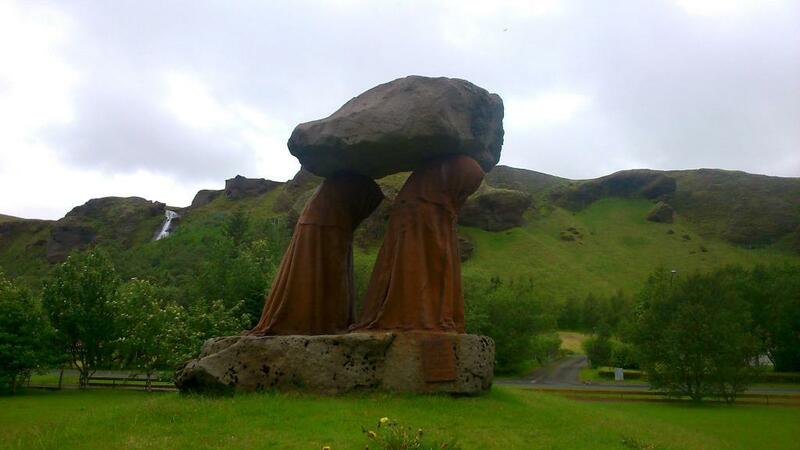 This is very interesting as I thought the first people to reach Iceland were Irish monks. 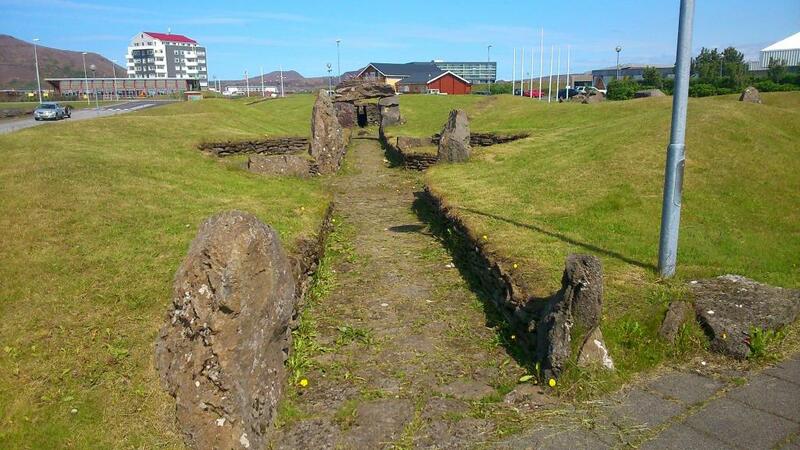 Some of the structure look new, but the one in Grindavik looks like a Neolithic or Bronze Age passage cairn. Have they been dated? 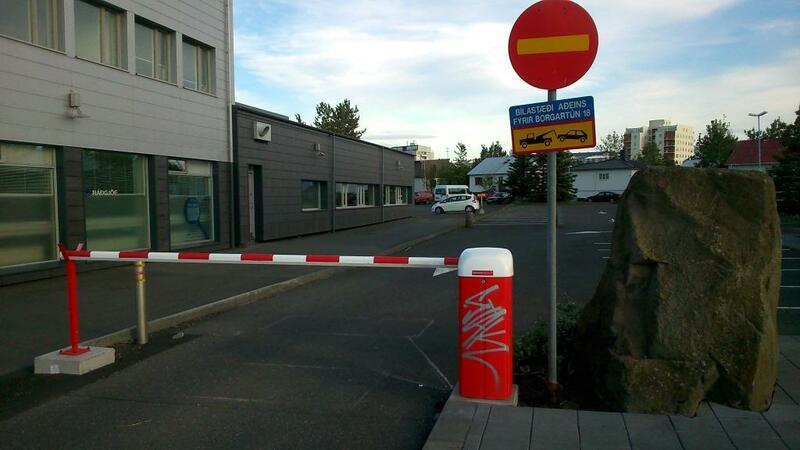 I’ve reread your article and to my amusement now realise that the Grindavik stucture is modern. 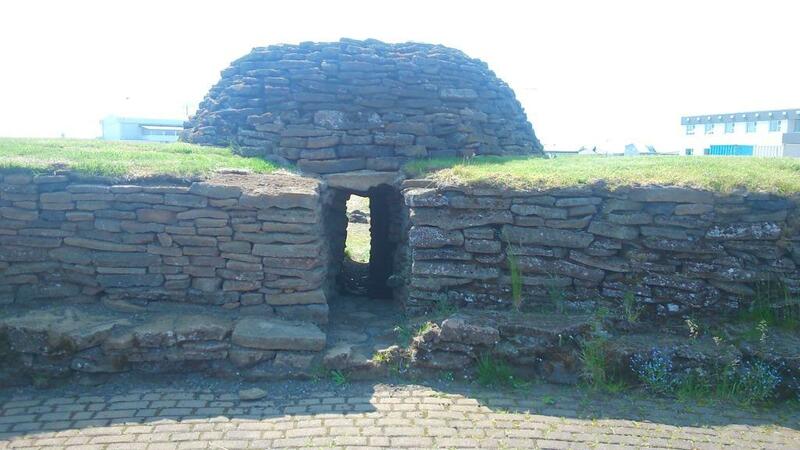 I’d like to know when it was built as there is another aspect to it that reflects some European passage cairns, as it was deliberately aligned to the setting midwinter sun. I’m surprised there is no information highlighting this, as it must have cost a fair bit of money to set out and build. I can send you details of the remote survey if you wish, let me know once you have stopped laughing? Hi, sorry for not replying sooner. It is a very convincing replica and the lack of any information there makes it all the more perplexing. I am not sure if it was built to capture an solar alignment, it seems to just fill a space beside a road intersection and some car parks!